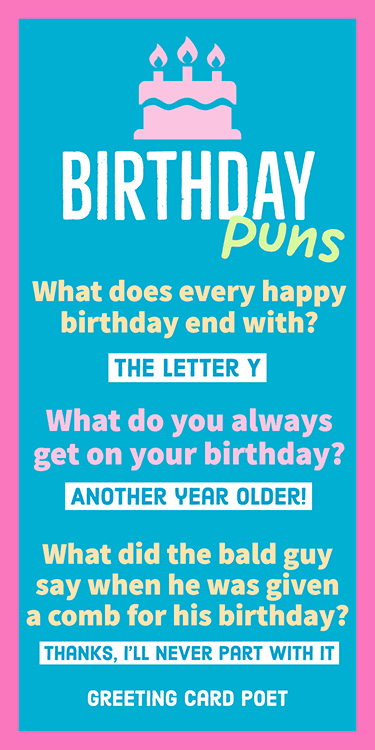 We hope you agree: these birthday puns really do take the cake! They’re everything you wished for. They make additions to cards, social media posts and in-person communications. Not only do these puns bring joy to many, but everyone can afford them. So, get ready for your friend or family member to blow out the candles as you prepare that special message that will make ’em laugh. 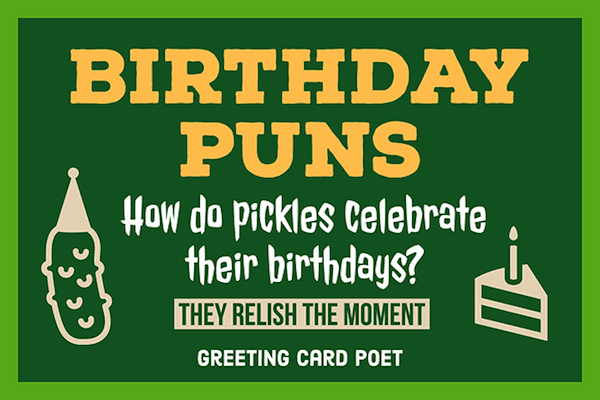 We present to you some of the best puns to share on the very special day. 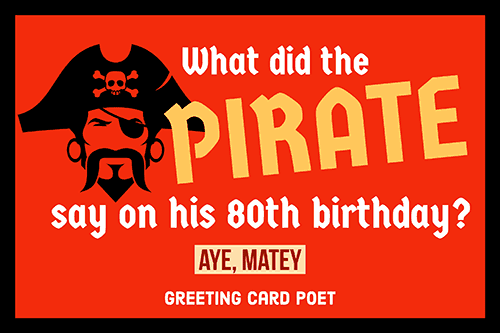 The birthday bash will be that much better with a little, fun b-day, word play. It’s party time, so bring your “A” game. Thanks, I’ll never part with it. No thanks, I’m too stuffed. Because it was feeling really crumby. 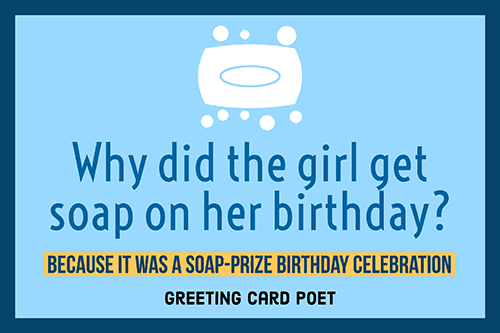 Why did the girl get soap on her birthday? Because it was a soap-prize birthday celebration. What did husband buy his wife for her birthday? Playing cards because she wanted something with diamonds in it. Why do people write on birthday cakes? Because everyone wants to have their cake and read it too. What did the ice cream say to the unhappy cake? Hey, what’s eating you up buddy? What did the computer tell it’s owner on her birthday? Don’t birthdays just burn you up? Why do we put candles on top of a birthday cake? Because it’s too hard to put them on the bottom. What did the cake say to the fork? Why was the birthday cake as hard as a rock? Because it was marble cake! What happens when no one comes to your birthday party? You might like: Hard Riddles for Kids and Adults. Why don’t owls ever exchange birthday gifts? They don’t give a hoot. 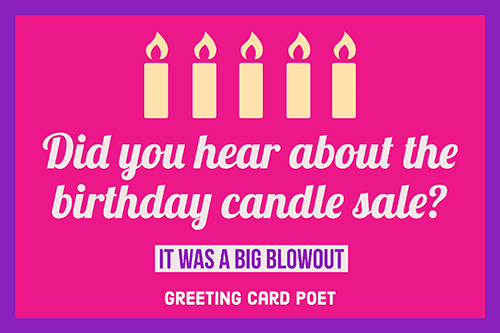 Did you hear about the birthday candle sale? It was a big blowout. What type of birthday cake does Peter Pan eat? What does every happy birthday end with? What is the left side of a birthday cake? The side that’s not eaten. What do you always get on your birthday? What is a snowman’s favorite part of a birthday cake? Why do genies love celebrating birthdays? Because of all the wishes. What does a clam do on his birthday? Why did the burglar break into the bakery? Because he heard the cakes were rich. What kind of cake do you get at a cafeteria? What do you call a baker with a cold? Why don’t birthday candles ever exercise? Because they burn out too quickly. What is an elf’s favorite kind of birthday cake? What did the dancer say to her classmate? What did the maple trees say after the birthday party? They had wood old time. Why was the tree was unhappy today? Because everyone kept wishing him a sappy birthday. What do you say to a tree on it’s birthday? How do you say happy birthday to a sheep in Spanish? Why couldn’t the zombie cut his birthday cake? Because he had no arms. You did a grape job raisin me. Nothing holds a candle to you – hbd to the #1 Dad! Don’t get heartburn from eating the candles with the cake. Your strategy of befriending infants is working: free cake once a year for life! How do cats wish each other Happy Birthday? Wishing mew a Happy Birthday. What song do cats listen to on their birthdays? What is a cat favorite thing to eat with cake? What did the cat think about its gifts? It though they were so purrcious. How old was the woman’s cat turning on its birthday this year? What did the cat say to the other cat on their birthday? I hope you have a really mice day. Why was the cat so happy on its birthday? Because it was having such a meowvalous day. Why do have cats love celebrating birthdays? Because they love to purrty. What kind of cool cats did the owner invite to her pets birthday party? You’re on our Birthday Puns page.